In an exclusive interaction with People Matters, Carolyn throws light on the key points organizations need to keep in mind while designing their digital transformation agenda and foster a culture of transformation. Carolyn Chin-Parry is currently a Chief Digital Officer for a large Southeast Asian conglomerate, which employs over 98,000+ staff across a diverse range of industries (60+ companies). Passionate about transformation to future-proof companies, Carolyn has been engaged by The Economist, Fortune 500 global leaders, ASX Top 200 clients, Tech Powerhouses (Microsoft, Workday), Ivy League universities, governments, and international conferences to share her knowledge on Human-focused Digital Transformation and Change Leadership to create an Innovative Culture. In an exclusive interaction with People Matters, Carolyn, who will be speaking at TechHR Singapore on 28th February, 2019 throws light on the key points organizations need to keep in mind while designing their digital transformation agenda and foster a culture of transformation. Digital transformation is not necessarily about digital technology. It relates to the use of technology through digital means which allow people to solve their traditional problems in new and creative ways which can promote innovation. Transformation is not about simply enhancing and supporting traditional methods. It is a journey of change, adoption, and embedment with a view for further innovation. It is not merely an implementation of technology on its own but about new ways of doing things, pushing boundaries in the right way and reaping the intended benefits. This can be achieved through the right stakeholder buy-in and proper change management. The transformation agenda is never a one size fits all, not even for similarly sized companies within the same industry. Every organization has different strengths and challenges, and will view digital opportunities quite differently. Digital transformation should not be treated as an IT initiative. The key questions to ask are “Why do we want to embark on digital transformation? What are the key drivers and outcomes that we are looking for?” The answers to these questions will form important design principles in the development of the digital agenda. Lead by example: Employees are more confident and motivated to support a culture of transformation and innovation when their leaders themselves are seen to be leading from the front. Whilst leaders are not always expected to be experts in transformation and innovation, their actions and decisions will indicate how serious the organization is in wanting to foster the right culture. Reward exploration and failure: Employees should be encouraged to explore and run with ideas that could potentially benefit the company, especially if it is of an innovative or transformative nature. Strong management support can help to remove any fear of failure. Formal Recognition: Recognition should be given to employees who take the initiative to try something different and push boundaries in constructive ways. The recognition can be shown in formal and informal ways. Build effective teams: Break down silos and create opportunities to collaborate. Engage with the right transformation and innovation experts to help guide teams in the quest for transformation and innovation. Flat management structure: Create a flatter hierarchy to promote faster decision-making, responsiveness to market conditions and empower employees to make judgment calls where needed. Learn from others: Observe companies who have been successful with fostering a culture of transformation and innovation. Understand the lessons learnt and carve out a plan which makes sense for your specific organization. Setting up the right KPI: Whilst KPIs should not be the driver for transformation and innovation, having KPIs to encourage and promote the desired outcomes is useful. In today’s dynamically changing world, what are the key skills a leader needs to imbibe to deliver for Industry 4.0+? What are the key things leaders should keep in mind whilst looking for and hiring digital talent? Plan ahead as the hunt for digital talent is getting more and more challenging. It can take several months to acquire the new talent especially if the skill set is in high demand. Also, leaders should consider upskilling your current workforce as sometimes the digital talent is in-house waiting to be nurtured if given the opportunity. Consider if the gig economy (i.e. flexible workforce options) makes sense for your organization. Some organizations have been proactive in identifying and vetting a pool of contract staff that they tap when needed. This allows the organization to be responsive to talent pool requirements at short notice. Sometimes to attract the right talent, traditional remuneration packages may not be sufficient. Have a frank and open conversation with the candidate to find out what is going to help with attraction and retention, and be prepared to be flexible where you can. Obtaining the right buy-in from the board to invest in transformation and innovation with a realistic return on investment over time is one challenge. Another challenge is how best to adapt traditional business models and organizational design to meet the changing market conditions. Another challenge is how best to earn and maintain trust by customers and employees, especially in the digital age where the public is becoming more skeptical about how their data is being maintained and potential security breaches such as cyber threats. Balancing data versus intuition is yet another conundrum. It would be worthwhile to consider how work can be shaped to include those commonly turned away from the workforce, such as people with special needs. With the advancement of technology, there should be more avenues to be creative in how work can be crafted and how we use technology to cater to the wider workforce needs. Creating meaningful work at all levels and further embedment of diversity and inclusion are key elements! All CHROs deserve a place on the board table, more so now than ever before, to help guide the C-suite to making the right decisions for the workforce, especially where the future of work is concerned. Also, keeping up with the “future of work” can sometimes appear overwhelming. This can be overcome by regular research, attending conferences and hearing what industry experts and futurists have to share. It is a learning journey for all. 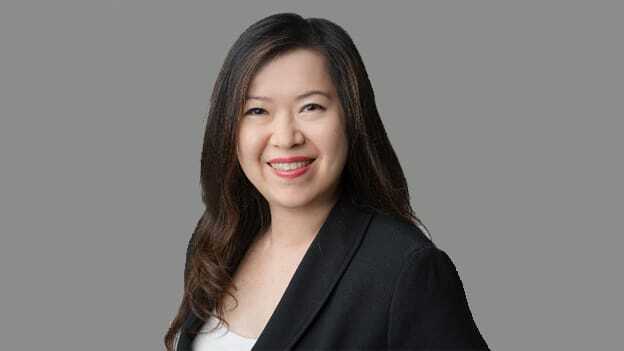 Carolyn Chin-Parry will be speaking at TechHR Singapore on 28th February 2019 at Marina Bay Sands, Singapore. Register now.